South Land Park is a diverse, multicultural community just a short drive from downtown Sacramento. 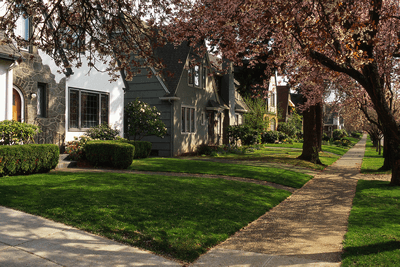 The neighborhood was established in the 1950's and 1960's as a suburban branch of the big city, and maintains a less city-like feel than most suburbs. South Land Park features ranch-style architecture mixed with contemporary design, and feels a lot like the western town of its roots. South Land Park boasts one of the lowest crime rates in Sacramento, which is a draw for many of the middle-class residents. Locals are proud and protective of the close-knit community, its properties, and its safe streets. Close-by attractions to South Land Park are the Sacramento Zoo, Fairytale Town, and Funderland Park for the kids, and the Crocker Art Museum, Park Terrace Swim and Tennis Club, and numerous other spots for the adults. The close-knit feel of South Land Park is echoed in the family environment at Precision Automotive Service. As your local repair facility for all makes and models, we strive to treat each customer as if they were our family. Come down to Precision Automotive Service to experience the dealership alternative. Call us or book an appointment online today!